But can it win your trust back? Sony has given out another update on the ongoing PSN debacle, with a lengthy Q&A insisting that the company is still not sure that credit card numbers have indeed been taken, defending the lack of encryption on the personal data that certainly was and insisting that the service will be back soon. Sony's PSN service has now been down for over a week – but gamers annoyance turned to horror when it turned out that personal details had been compromised by the people responsible, and that encrypted credit card data was among that data. With experts suggesting that cancelling the card would be sensible, Sony is still suggesting that there is no evidence that the credit card details have been taken, and the company has pointed out that credit card security codes had never been included in the data set. 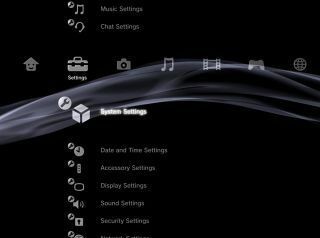 "First off, we want to again thank you for your patience," said Sony's latest blog – by Patrick Seybold.
" We know that the PlayStation Network and Qriocity outage has been frustrating for you. We know you are upset, and so we are taking steps to make our services safer and more secure than ever before. "We sincerely regret any inconvenience or concern this outage has caused, and rest assured that we're going to get the services back online as quickly as we can." What is clear is that this is a hugely embarrassing incident for a company pushing its reliability and cloud service capability. "However, we want to be very clear that we will only restore operations when we are confident that the network is secure."